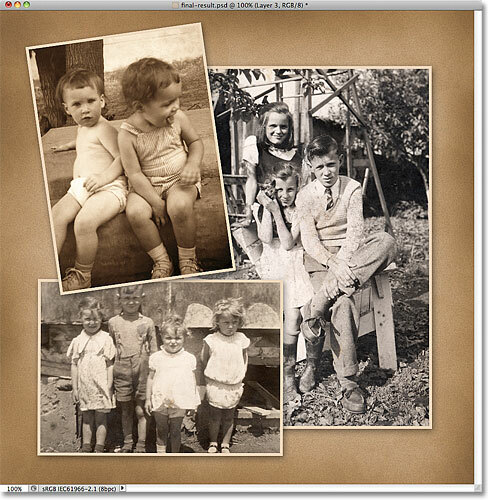 In this Photoshop Effects tutorial, we'll learn how to create a simple old paper texture, great for use as a scrapbooking background for displaying old, antique photos! I'll be using Photoshop CS5 here but any recent version of Photoshop will work. Enter the dimensions and resolution for your new document. Change the Use option to Color. 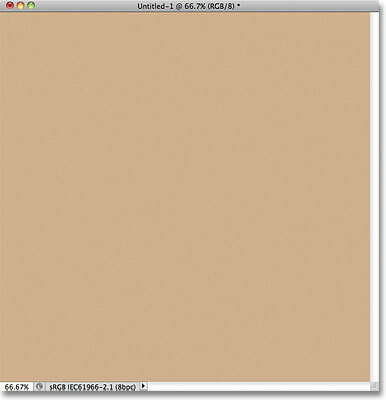 Choose a light brown from the Color Picker. 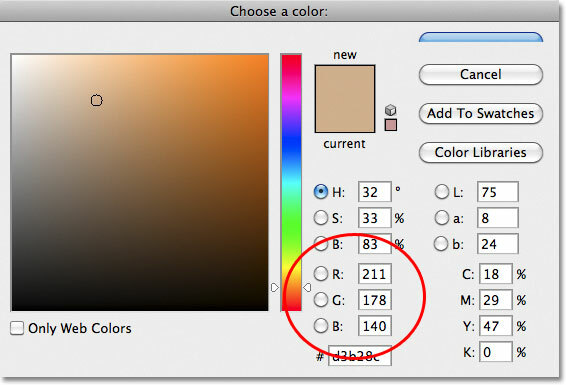 Photoshop fills the document with the chosen color. A new blank layer appears. Go to Filter > Brush Strokes > Spatter. The clouds after applying the Spatter filter. Change the blend mode to Overlay and lower the opacity to around 15%. 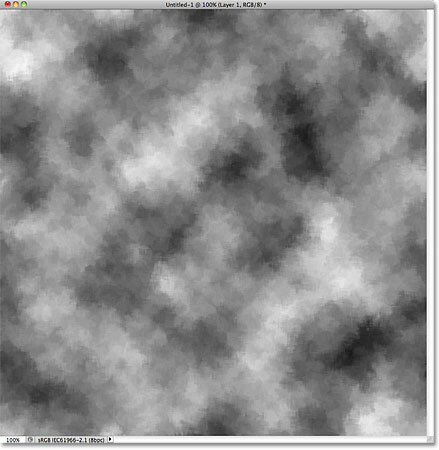 The texture now appears much more subtle. Add a second new layer. A new clouds pattern is added to Layer 2. Go to Filter > Artistic > Cutout. The clouds after running the Cutout filter. Change the blend mode to Overlay and lower the opacity value. The paper texture after adding subtle stains. The three existing layers have been merged onto a new layer above them. The Burn Tool, by default, is hiding behind the Dodge Tool in the Tools panel. The default Burn Tool options in the Options Bar. Then, with a large, soft-edge brush (the Burn Tool is considered a brush), paint around the edges of the paper to darken (or "burn") them. To change the size of the brush, press the left bracket key ( [ ) on your keyboard to make the brush smaller, or the right bracket key ( ] ) to make it larger. To change the hardness of the brush edges, hold down your Shift key and press the left bracket key to soften them. Press the key a few times to set the brush edge hardness to 0%, which will give you the softest edges possible. 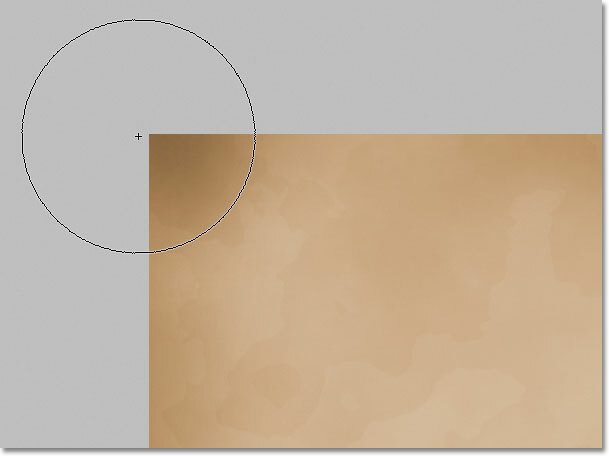 Keep the center of the brush cursor in the gray pasteboard area as you paint around the edges to darken them. Use the left and right bracket keys on your keyboard to vary the size of the brush as you paint around the edges to create a more random looking result. If you make a mistake and you're not happy with how your last brush stroke looks, press Ctrl+Z (Win) / Command+Z (Mac) to undo it, or press Ctrl+Alt+Z (Win) / Command+Option+Z (Mac) repeatedly to undo multiple strokes. The edges after darkening them with the Burn Tool set to different sizes. 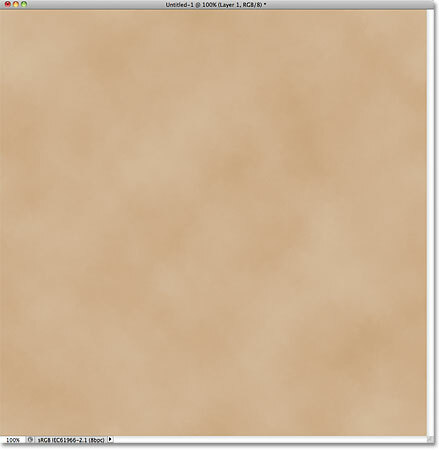 The paper texture will temporarily be blocked from view by the solid white on Layer 4. The image now filled with noise. Change the blend mode to Multiply and lower the Opacity value to 10%. The final old paper texture. 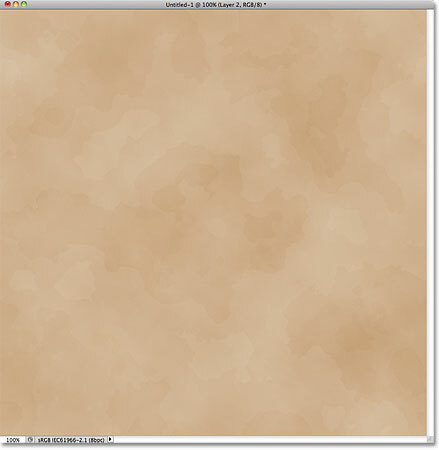 The texture has been flattened onto the Background layer. With the image flattened, save the file to your computer by going up to the File menu and choosing Save As. 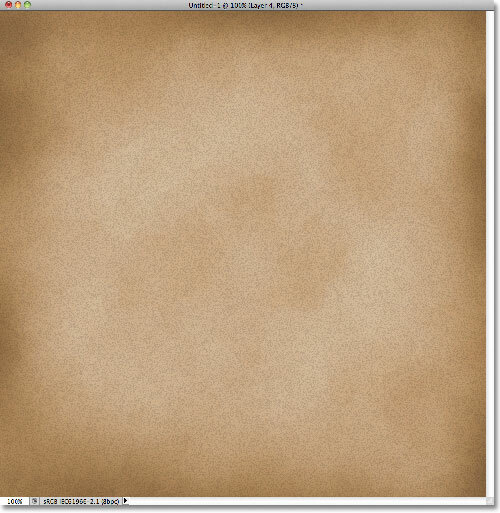 Give the file a descriptive name like "Old Paper Texture.PSD" and make sure you set the Format to Photoshop so you're saving a Photoshop document. 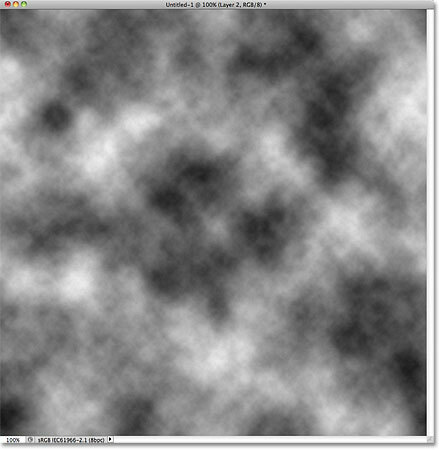 This will keep the texture's image quality intact for later use. And there we have it! 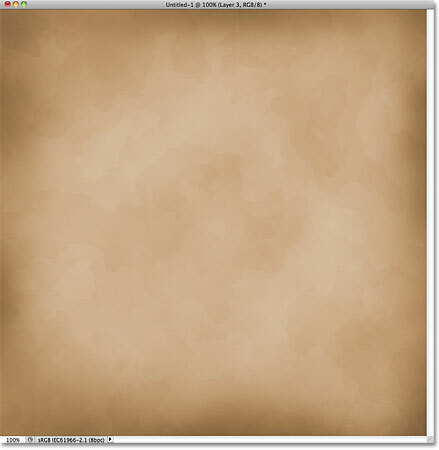 That's how to create an old paper background texture with Photoshop! Visit our Photo Effects section for more Photoshop effects tutorials!